Decisions made by men more than a century and a half ago led to me facing an unpleasant ethical dilemma a few days ago. That is, should I subject animals to an untimely but rapid death, or a prolonged and (I can only imagine) painful one? The animal I am talking about is the Australian brushtail possum (Trichosurus vulpecula), introduced to New Zealand in 1837 for the fur trade. And it was a decision I was confronted with when I approached the regional council to have bait stations installed on our land, which borders a gully of beautiful regenerating forest. A brush-tailed opossum in the care of the Society for the Prevention of Cruelty to Animals. Negatives of the Evening Post newspaper. Ref: EP/1957/0147-F. Alexander Turnbull Library. 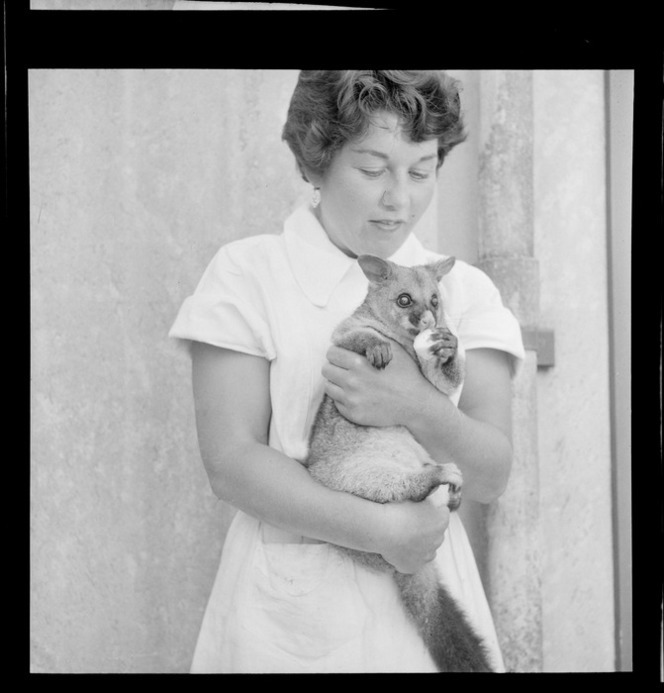 In my search for an image for the previous post, I stumbled across this photographic treasure from 1957: a possum in the care of the Society for the Prevention of Cruelty to Animals. Knowing what we know today about the destructive impact of these furry marsupials, it is easy to dismiss this image as a quaint artefact of a misguided era. But perhaps this caring woman knows better. 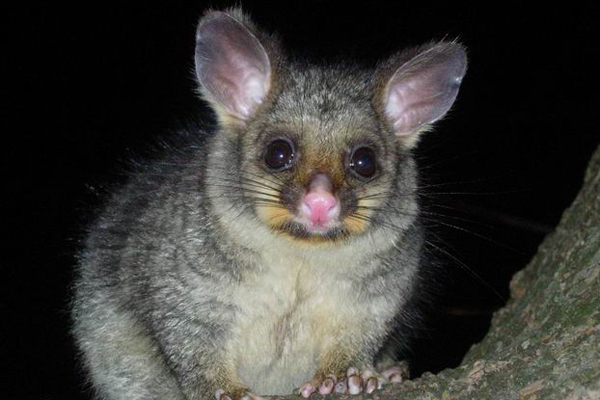 A possum is an animal worthy of the same humane treatment that any household pet deserves – it is only by virtue of being in the wrong place (through our actions) that it has become a ‘pest’ of such magnitude. The opossum. A ground berry-eater, that helps build fences! What is cute, furry and ecologically devastating? Even this little fellow, still not fully grown, would wreak havoc on vegetables and fruit trees, and in an indigenous forest environment, shrubs, trees, bird young and eggs. Nga Manu Images is an online photo library created by Dave Mudge and Peter McKenzie, founder trustees of Nga Manu Trust, a charitable trust dedicated to the conservation of New Zealand’s flora and fauna, and conservation education. The Trust founded the Nga Manu Nature Reserve, just north of Waikanae on the Kapiti Coast, featured on this website. What makes this photo repository so unique is that, in keeping with the Trust’s objectives, these images are available free of charge for conservation advocacy and education purposes, as well as non-commercial personal use.